Thanks for stopping by! We serve the New Orleans area, and the entire state of Louisiana. The staff at Garcia Insurance has been very helpful in getting all of my affairs in order from personal insurance needs to the professional. I have peace of mind, because of the work that they do for me and my family. Nikki was very professional and knowledgeable. She answered all of my questions and gave me suggestions on what she thought would work for my family. She responded quickly and executed the deal in a timely manner and followed up with me several times after. I would definitely recommend Garcia Insurance Services in the future. Great Job Nikki! 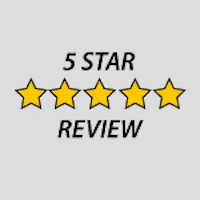 Erik Garcia and his staff are very professional and they saved me money on my homeowners insurance and got me a great preferred rate on a term life policy too. Great local business man with strong ties to our community. These guys know their stuff, I recommend. They are my insurance agents for my business and personal and they have done a great job, they know their stuff and are fast to answer questions. Great for Worker's Comp insurance....and homeowners.